Andy B Events are pleased to be working with Saira Sax! Saira starting playing sax at the age of 8 and it has been part of her life ever since. 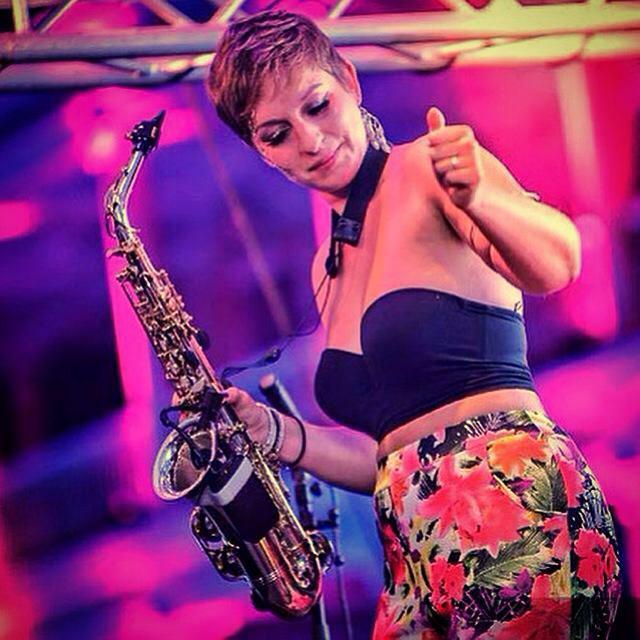 Having trained at Masters level as a classical saxophonist in Germany, she is now back in the UK letting her wild side go playing on the House music scene. Based in Manchester, Saira covers not just the North West but pretty much the whole UK, international dates can also be considered. Having performed at some of the UK’s most prestigious venues such as Buckingham Palace, The Royal Festival Hall and The Wigmore Hall, Saira is now gracing the clubland stage and is performing at exclusive venues all over the country!! Her talents have not gone un noticed and on New Years Eve 2015 she made her Hed Kandi debut playing at the fabulous McQueen in Shoreditch. Having been invited to play at exclusive parties for celebs such as Mel C and Joe McElderry her start to club life has gone off with a bang! Although Saira has a lady like manner she is not afraid to play to a screaming crowd and her refined sound and good looks are going to be enjoyed by thousands more for years to come!! Maybe you’ve seen the likes of ‘Lovely Laura’ at Café Mambo & would like to re create that vibe or perhaps you’re thinking of an Ibiza style ‘House’ set during your special event & want that live SAX sound to really set it on fire! Amazing live music for weddings & other private celebrations, Christmas parties, Student Balls & Proms! In which case, email your enquiry to andy@andybevents.co.uk For an accurate enquiry, make sure you include, date, venue details, type of event & approx. playing times. As a guide, prices from £395 within the North West. Saira asked lots of details about the wedding and even asked if there were any songs we would like her to learn to make our day special. We kept in regular contact and on the wedding day Saira was simply PERFECT! We had so many compliments about Saira and lots of friends asked for her details.